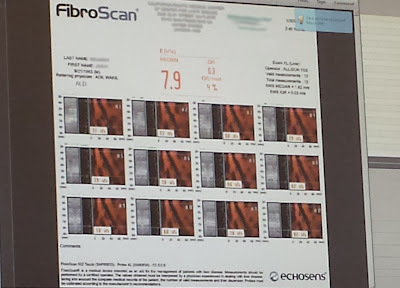 Healing Liver Cirrhosis: My Husband's Fibroscan Results are IN... and he no longer has Cirrhosis! 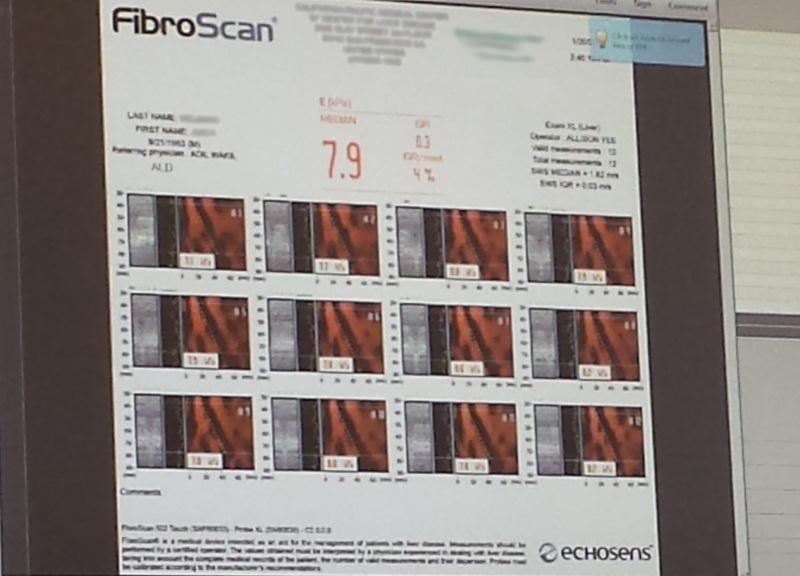 My Husband's Fibroscan Results are IN... and he no longer has Cirrhosis! UPDATE 6-17-16: I finally finished a video showing the results of my husband's FibroScan. You can see it below. Please be sure to read THIS POST, about what I mean by Beating Cirrhosis.I do not believe in "Cures." But I believe he is living proof that many people can get back to work and resume a healthy life again!! I've said it before, and I'll say it again. 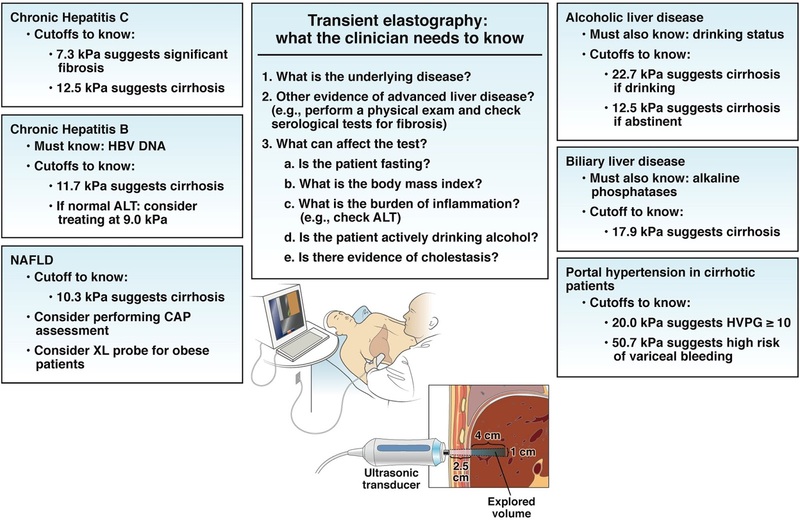 If you have cirrhosis you should be under a doctor's care. 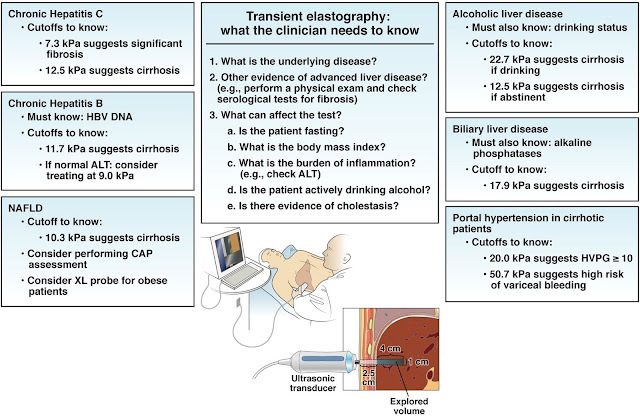 Cirrhosis is a very serious and life-threatening condition. I am not a doctor and am unable to give medical advice. I've just learned a LOT over the last 4 years, since my husband was first diagnosed with cirrhosis (the earlier stages), and I want to share with you what we learned. I have done a lot of research on supplements, but I am not a doctor and cannot advise you on what you should take and what you should not. Certain things may have worked for my husband but I cannot say they will work for you. You may need more than what he needed. Cirrhosis is a very serious, life threatening condition that hospitalizes over 300,000 people per year and 25,000 people die from it annually (these statistics are from the US alone). Make no mistake, cirrhosis kills, and it kills often. As of July 2016, I know of 17 people who have died from cirrhosis in the last year and a half. If you are in stage 3 or 4, you should take this very seriously. DO NOT WAIT TO DO SOMETHING ABOUT IT! AGAIN: MAKE SURE YOU READ READ THIS POST SO YOU ARE ABSOLUTELY CLEAR ON WHAT I MEAN BY MY HUSBAND BEATING CIRRHOSIS. Not all people who beat cirrhosis are able to escape irreparable damage. While I am grateful that he is still alive and off all his medications, he can run a fast mile with no training, he can hike 12 miles and he's doing great at work, I realize now that because my husband took the slow route to recovery, he was still left with some damage that can't be reversed. You need to be aware of this. If we had known there was a faster way for him to recover, we would have taken it in a heartbeat, but unfortunately it took us years to learn about all the things I am sharing with you on this blog. I hope this helps you. After a year of absence from seeing my husband's liver specialist (and a year of drinking Jake's Detox water plus a few other tricks) we finally went back today, so he could get his much-anticipated Fibroscan! (I'm going to upload a video of it soon so you can see it was for real). For anyone not familiar with our story, my husband Jake was hospitalized 4 times, due to cirrhosis (from alcohol), between 2011 and 2014. He had late stage cirrhosis (end stage liver disease) and was told he would have to get a transplant and probably have to go on disability. Many people thought he would die. His skin was greenish/yellowish/gray, he looked like a pregnant skeleton, and doctors made it sound like there is no way to reverse cirrhosis. He really did look like he was going to die. The people from his hospital sent a priest into his room and also another person to talk to him about getting his affairs in order! 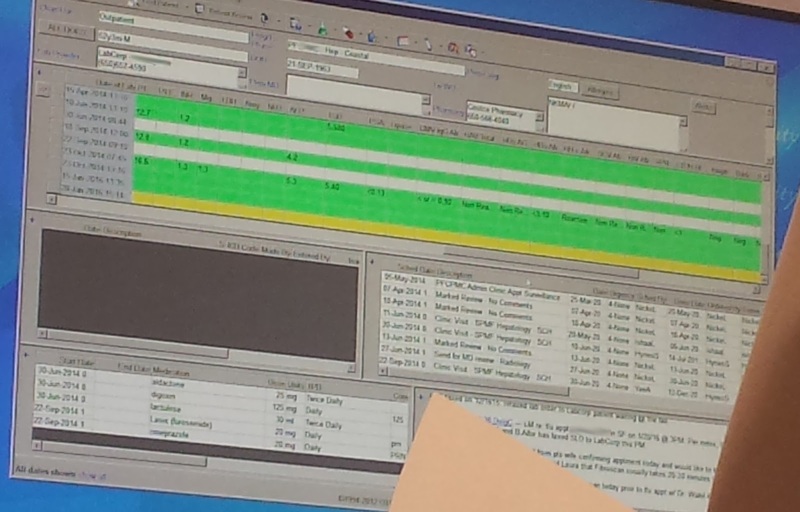 When we went in today, I loved seeing all the GREEN on his chart on the doctor's computer screen (wish I could have gotten a clearer picture but I didn't dare get closer, as I knew his doctor would be annoyed to see me taking a photo at all... i was standing behind him while he talked to my husband). There is a yellow row at the bottom but I'm not sure why because there is nothing in it. We have been wanting to do this test forever, but just couldn't afford it until now. For those of you with cirrhosis, or those of you who have loved ones with it, you know that cirrhosis can be a bit like having a black hole in your bank account (when you total up all the expenses for my husband's cirrhosis it is upwards of a quarter million dollars). A Fibroscan costs around $500, and Jake still doesn't have health insurance, but some places may give a discount - like 30 percent - if you don't have insurance and pay within 30 days. Luckily the place we went to was able to give us this discount. Although we are still facing mounds of debt thanks to cirrhosis, my husband recently got a long-awaited, and well-deserved raise at work, and we were able to take the plunge and get this thing done once and for all! Ever since I saw a man (who drinks the same water Jake does) say his doctor said he didn't have cirrhosis (even though he'd had it for 7 years) and couldn't seem to find it on an ultrasound (which I believe was a Fibroscan), I was hopeful that my husband would have similar results when he got his Fibroscan. I know my husband's score may not be as good as the guy who said that, but he has made undeniably significant progress (and I don't think that guy ever had cirrhosis that was as bad as my husband's). It seems that they have made about the same "degrees" of improvement (which appears to be a lot). The guy who said he no longer had cirrhosis, said that his doctor had said, in order to have cirrhosis, he would have to have a score of 12.5, but he was only at a 6.3. He was told he had "the liver of a 45 year old." I couldn't tell how old the guy was, but I'm guessing he was probably about 50 (but looking good for his age). His "Mean Value" (Overall) Score is 9.37. I actually got a little teary eyed as I watched the numbers on the screen. I'd been waiting to see this for a long time! We've worked so hard to try to reverse his cirrhosis, and now I feel like we have proof that all that effort paid off. Jake's doctor confirmed that he appears to be in STAGE 3, which means his liver disease has reverted back to FIBROSIS, AND NOT CIRRHOSIS! HE NO LONGER HAS CIRRHOSIS! I am not able to use the word cure. So I cannot say his liver disease has been "cured" by the water or anything else. He still does have FIBROSIS, which is also serious, but his disease seems to be manageable. So I'm just saying, look at his results, I can tell you what he did, and you are feel free to draw your own conclusions. If you asked for my personal opinion on what gave him these results, I'd say, in my opinion, the water had a lot to do with it, but I can't make medical claims and don't have the $ to do a double blind medical study. The thing I need to study is my husband, as I have been for 4 years, and something gave him these results. I spoke with someone who worked for Fibroscan, who told me that yes, the score is calculated by getting an average of the numbers. He did say that usually there are 10 numbers, and I'm not sure why my husband just had 4. But whatever the case, the doctor did confirm that he is no longer in Stage 4 (so he no longer is in the cirrhosis stage). Please keep in mind that Stage 3 still means "Severe Fibrosis" and Stage 2 means "Significant Fibrosis" so if you are in these stages you should NOT take this lightly and you should still do what you can to lead a healthy lifestyle, or you WILL run into problems. I am hoping that as long as my husband continues to do what he is doing (and add green juice and shakes back into his diet), he may even be able to have a normal liver again. One thing that I learned from Dr. Andrew Weil is that the body has a tremendous capacity to heal itself, and I'm a definite believer! I'm not a doctor and cannot make medical claims, and will not make medical claims. And I also need to tell you that if you have any degree of fibrosis or cirrhosis, you are supposed to be under a doctor's care. In case you are wondering how much it costs, I know the costs may vary in different areas but we were told it costs $413.00... BUT we were also told that because my husband doesn't have insurance, they will give him a 40% discount if he pays within 30 days. So the cost was more like $248.00. His specialist charges between $800 and $1200 per hour, but because it was a follow-up visit, it was less. Our total bill, for the follow up plus the fibroscan came out to about $589.00. Which is why we waited so long to do it... we had to save up! But still... overall, it was less than I thought it would cost. It should be a lot less if you have insurance. I still need to figure this out, but it sounds like the number in parenthesis is for an "m/s" score... and I'm having a hard time understanding what the "m" stands for (millimeter? micron?) but the "S" appears to stand for "second." So, it would mean _____ (mm or whatever) per second. Although I do like Jake's doctor, he didn't seem particularly interested in educating us about what the different scores meant. I can't completely say that I blame him. As much as I do try to be sweet and polite while I'm there, it's hard to completely hide how smug I feel about the progress Jake has made with alternative treatments, when doctors seemed just as smug with US... telling him over and over again that he was going to need a transplant, and that he'd probably have to go on disability! I've heard over and over again that "there is no way to reverse cirrhosis." Now I can finally, officially say, THAT'S Bull****! Jake's doctor seemed to be in denial of the fact that he got such good results, and didn't believe Jake had reversed his cirrhosis. He seemed to think he still had cirrhosis (as if we were in denial). Me and Jake thought he was the one in denial. It's got to be annoying to spend all those years in medical school, only to have some random patient's wife with no college degree, waltz into your office and insinuate that her husband was able to reverse his cirrhosis over the last year without pharmaceutical drugs or medical supervision. Jake's doctor definitely seemed surprised by his results, and he actually called the elastographer into the room to double check on the report. I couldn't help having a flashback to the time they weighed Jake and they made him go into another room to use a different scale, because he had gained so much weight back so quickly, the nurse thought there must be something wrong with the scale! As I said before... it wasn't the scale that needed fixing... it was their treatment protocols! 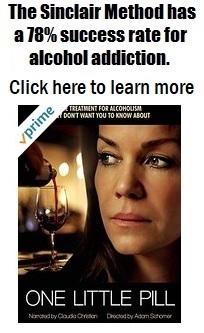 By the way, if you have cirrhosis from alcohol addiction, I want to share this page with you... I think a lot of people get really depressed and want to drink even more after the doctor tells them that nothing can be done, and it makes me so mad. If you struggle with alcoholism, please click the green box to the left. You DO have to stop drinking, if you really do want to beat cirrhosis... but it's WORTH IT!!! My husband is SO much happier now that he quit drinking, just like I'm so much happier I quit smoking. It can be done!!! Whether or not you believe Jake really did reverse his cirrhosis is up to you. 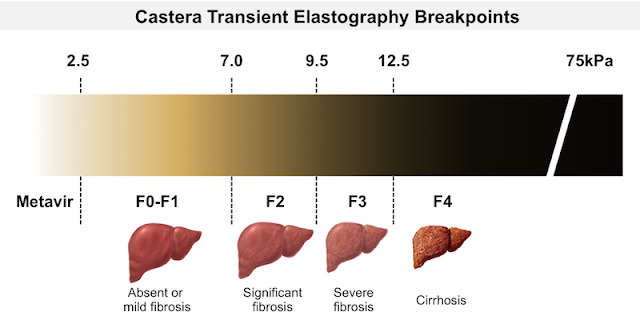 Since we can't just "have a peek" at his liver and see what it looks like, we're just basing our opinion on the facts we've seen, and we choose to believe it has been reversed, based on the NUMBERS (his MELD score is a 6 and his fibroscan results indicate he is technically down to stage 2). We believe what we do, based on the fact that my husband is functional, he's working 50 hours a week, he no longer has the symptoms of cirrhosis (bloating, itching, jaundice, fatigue, encephalopathy, brain fog, you name it). I am hopeful that he will be able to reduce the scar tissue even further. I will be making him green shakes again, and he will continue to drink the water, and he will continue to do PEMF (we're going to upgrade to a top of the line PEMF machine we found out can be financed for just $50 a month). We are choosing that one because it has a unique signal that is different from all other PEMF machines, and it's the only one I've ever seen that has testimonials by peopl with cirrhosis. I probably shouldn't be telling you this, but I'm going to anyway... Jake's diet is not the best. He eats a ton of candy and sweets so it's almost kind of shocking that his results are as good as they are. I DO NOT recommend you do the same. I don't have the best diet right now either, and I've been blaming it on stress. I realize we both slacked a lot because we thought, oh, we have this great water so we don't have to watch what we eat so much, but that WILL get you in trouble over the long run. I know we really need to get back to eating healthy, and I plan to go back to making shakes for the hubby on a daily basis! 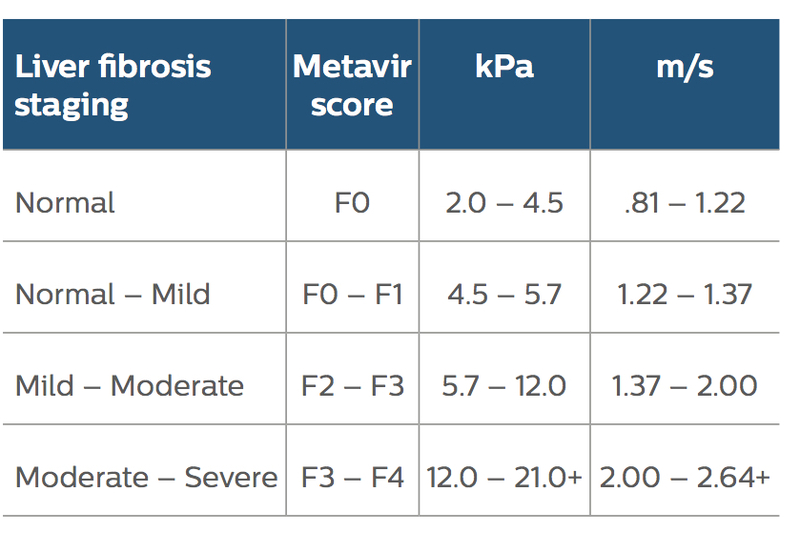 Keeping this in mind, we can use the Fibroscan scoring card to convert Fibroscan results measured in (kPa) into the Metavir scale F1-F4. Located on the bottom of the Fibroscan scoring card is Fibroscan results in (kPa) measurements 0-75, more accurately Fibroscan results range from 2.5 kPa to 75 kPa. Between 90–95% of healthy people without liver disease will have a liver scarring measurement less then 7.0 kPa (median is 5.3 kPa). A person with chronic hepatitis C and a liver stiffness more then 14 kPa has approximately a 90% probability of having cirrhosis, while patients with liver stiffness more then 7 kPa have around an 85% probability of at least significant fibrosis. 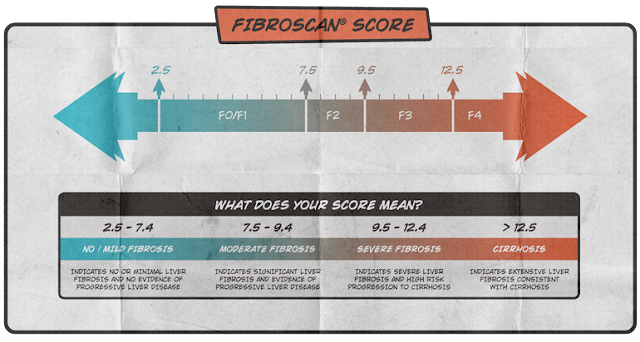 A fibroscan score of 8.2 in "hepatitis C " is the same as fibrosis stage 1-2 or (F1- F2) as shown in the color coded scale. A fibroscan of 12.2 in a patient with "alcoholic liver disease" is borderline cirrhosis or (F3) . 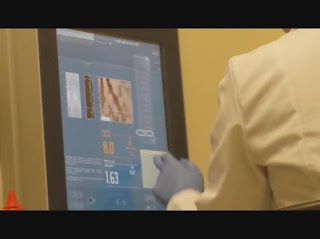 In trying to understand how to read a fibroscan, I listened to this video below, which explains it a little more. If you want to learn more about Jake's Detox water, CLICK HERE. If you want to request more information about the water and other things he did over the last few years, CLICK HERE. Thanks for taking the time to read this. Today I learned of a 7th person who died from cirrhosis, and in my opinion, this shouldn't have to ever happen to anyone. I'm hoping more and more people will somehow be able to get the results my husband did. have just found out I have cirrhosis. have the Humphrey name in common. Just found out I have cirrhosis. Have the Humphrey name in common. email me as well. A few months ago we found out my 35 yr old Son has stage 4 liver disease and verices and ascites. he's had blood transfusions and multiple parasentices to remove the stomach fluid. He's on high doses of lasixs. help him please. Debbie please get in touch with me, it sounds pretty serious. You can email me at healinglivercirrhosis@gmail.com. so are selling water?why cant you just help us without charging heaps.we are all too sick to work so I cant afford this book of info and water you speak of. I would love to learn more about your husband's treatment. I am currently seeing a gastroenterologist and going through the "exact" same things as your husband. I lost a 145 lbs of liquid from my body. Went on a high protein low carb diet. Got paracentesis and drained 15 qt. of liquid off that had ascites. Some of the weight is coming back now. Will have to get it drained off again and get some additional albumin shots. I am on diuretics daily and take all sorts of meds for the infection. They are getting ready to do a liver biopsy on me soon. I also need to have a hernia corrective surgery, but cannot do that until all the liquid in my abdomen is gone. I was in the hospital twice for this before they diagnosed me correctly. I almost died. I lost my past two jobs because of this condition and I am currently unemployed and looks like at my age the only thing I can do is apply for disability, which I really do not want to do. For greater healing I would encourage you to check out on youtube: "MORINGA OLEIFERA BENEFITS FOR LIVER EXPLAINED BY DR. HOWARD FISHER". Lady was completely healed of cirrhosis in 9 months. It's ridiculously affordable - just be sure it's organic. Also, look into ORGANIC AMLA BERRY POWDER - also VERY reasonably priced. Also, encourage your husband to consider using organic raw honey to satisfy his sweet tooth. Finally, look into buying a NUTRIBULLET - check it out on youtube if you're not familiar with it. P.S. - In 6 months I'm down to Stage 1 fibrosis from Stage 3 and I fully intend to reach ZERO in another few months! Your husband can, too! My dad's friend just was diagnosed with end stage cirrhosis and is an alcoholic. Please email me where to get this water. She has been told she has 3 months to live. I have a massively enlarged liver, enlarged gallbladder and non-malign tumor in my left kidney. All of this combine makes me look like a small hippo with chronic fatigue, backpain, low energy, etc. It's a miserable condition. I eat sparingly and healthy but I still look morbidly obese. I get no help from my doc. I know I am full of fluids, which is probably the main reason for the appearance of excess weight. All I want is to reverse it, find a solution to "skrink" my liver and gallblader back to normal. It's not alcohol related. I've never taken drugs or had any addiction problems. Most likely infection related of some sort when I spent a few years in the third world. Another explanation I have been given is that I may have some metabolic defect in acid production which causes excess acidity - and by that enlarged the liver and gallblader (which apppears to be a newly discovered cause for non-alcohol related fatty liver). I wish I knew how to reverse this... I'm desperate and miserable with it. Just want to return to normal and get my energy and my life BACK. You have done an amazing job getting your husband's life back. I cannot even tell you how little "living" there is having these conditions. You've basically given him the kiss of life! He must be tremendously grateful.